Waste Pickers Around the World (WAW) map. 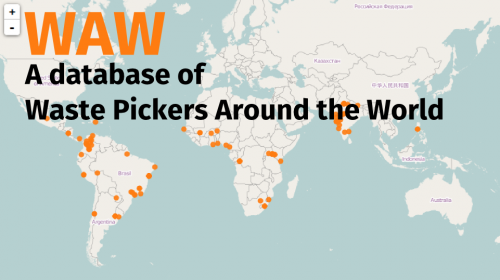 Waste pickers Around the World (WAW), the first global database on waste pickers, is ready. Be part of WAW. It’s your turn to make a contribution! Filling out this form will take only 5 minutes and you will be contributing to a more accurate and updated version of WAW. You can find out more about the WAW Database.